The Association Le M.U.R. Modulable Urbain Reactif is a website showcasing artwork on a single street level billboard in Paris. It seems the advertising location was overtaken by graffiti scrawl to the point where the ad company simply gave up on the billboard in early 2007. Left abandoned, Le M.U.R. began to curate artworks at this location and has continued to do so ever since. The website showcases the long list of artist projects and is a fantastic example of what art can bring to even a single location if given the opportunity. 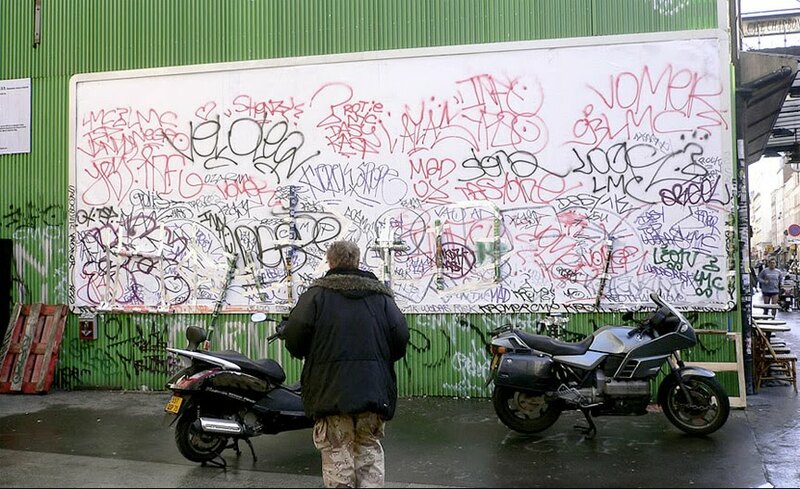 It also is a compelling argument for an environment in which art is championed over advertising as it is clearly a better option than the typical ad posters which adorn these types of locations in Paris.